From crowns to veneers, we have the treatments that are right for you. Regular oral hygiene visits will allow us to identify problems before they develop. Improving your smile can give you the boost in confidence you need. From routine check-ups to more complicated procedures, Dr. Nelly Soliman Wahba Family Dentistry is committed to providing your family with an exceptional standard of professional dental care. 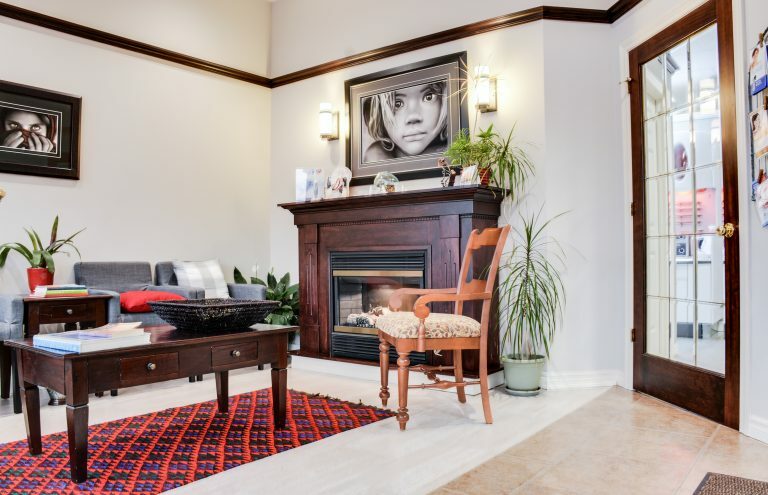 As a Fonthill dentist, our office is warm, comfortable and inviting. Our staff is fun, friendly, and very knowledgeable – keeping up to date on advancements in dental education and technology through continuing educational courses. Our goal is to ensure you have a pleasant professional health care experience and satisfaction with your visits. We offer a variety of services, everything from fillings and crowns to veneers and dental implants. We are especially proud to offer painless needless, invisible braces and Lumineers. If you're looking for a dentist in Fonthill, call us today to book your family’s next dental visit. Dental restoration is a term used to describe any procedure done with the intention of restoring your teeth back to their natural perfection. If you are missing one or several teeth, it is important to have dental implants affixed to maintain good overall oral health. A bright smile aids in a bright future. Put your best smile forward. Take advantage of the Sapphire Teeth Whitening System. Call us today for the appointment! Our goal to convince you that your entire family will have a pleasant dental experience and the ultimate in dental care. Our cosmetic procedures will replace your flawed teeth with a perfect, natural-looking grin. Teeth sometimes develop in a crooked pattern, or are shifted as we age and our bones take shape. We are committed to providing you and your family with the highest standard of gentle dental care, so you no longer have to dread the dentist’s office. Dr. Nelly Soliman Wahba Family Dentistry Corporation is dedicated to putting a happy, healthy smile on your family’s face. I despise going to the dentist HOWEVER, Nellie and her team have turned this into not only a bearable experience but even positive. Don't get me wrong, still not on my top ten fave things to do. Nellie and her team are professional, personable, compassionate and sensitive to their patient's needs, fear and concerns. I’ve been to many dentists in the past but Dr. Soliman and her team are the BEST! I’ve had a root canal, various touch ups and even spaces between teeth filled over the past couple years and her attention to detail is unbelievable! I am very pleased with the work her and her team have done. I highly recommend Dr. Soliman and her team if you don’t already go to there. Dr Nelly and her wonderful team took excellent care of me and not only is my oral health improved 100% I can smile again with confidence. Dr Nelly with her kind and gentle yet very professional "chair side" manor cured my "white coat syndrome". I suffered from high anxiety for many years which lead to the deterioration of my oral health. I am now stress free knowing I am in the most capable hands with Dr Nelly. I can't recommend Dr Nelly and her team highly enough. I will always be grateful...THANK YOU DR NELLY XO! very good very professional and friendly staff. explained everything that was being done.